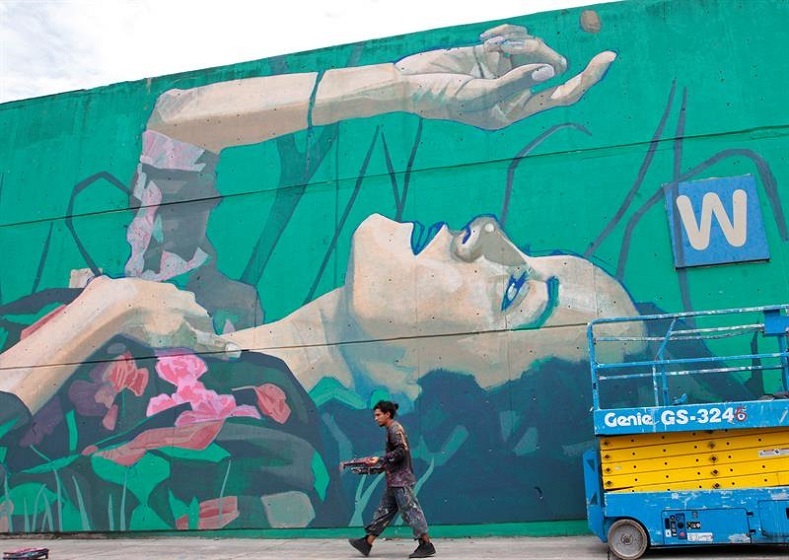 The second phase of the Central de Muros begins with 50 artists from around the world racing to finish 39 murals. 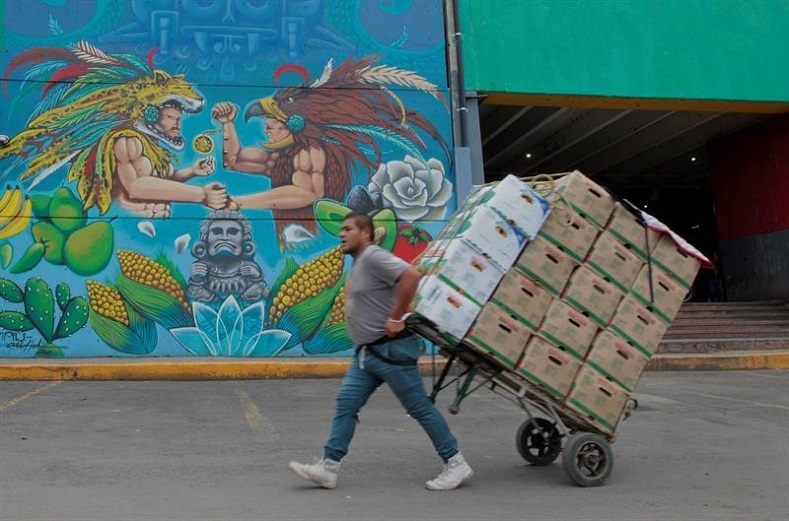 Mexico City’s Central de Abasto, the world’s largest market, is visited by half a million people every day. 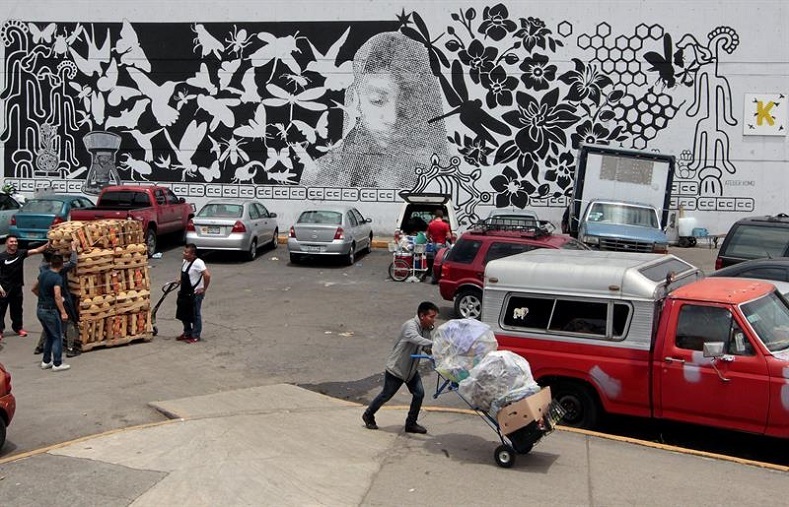 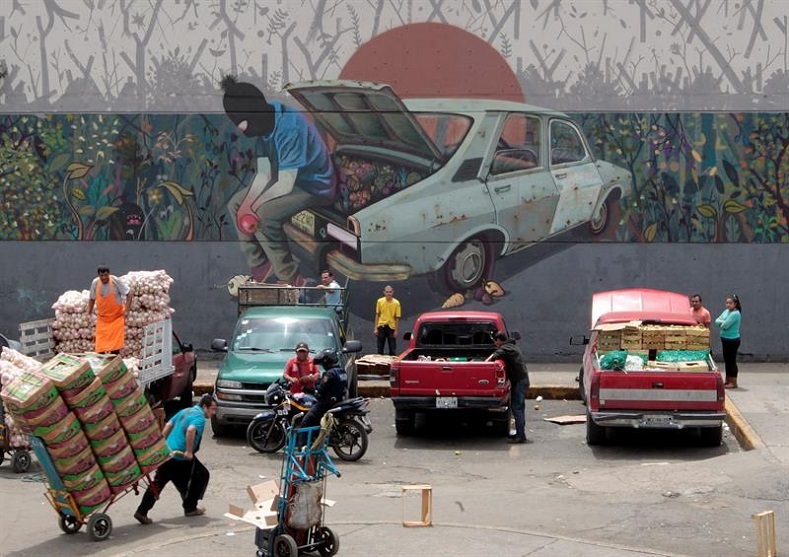 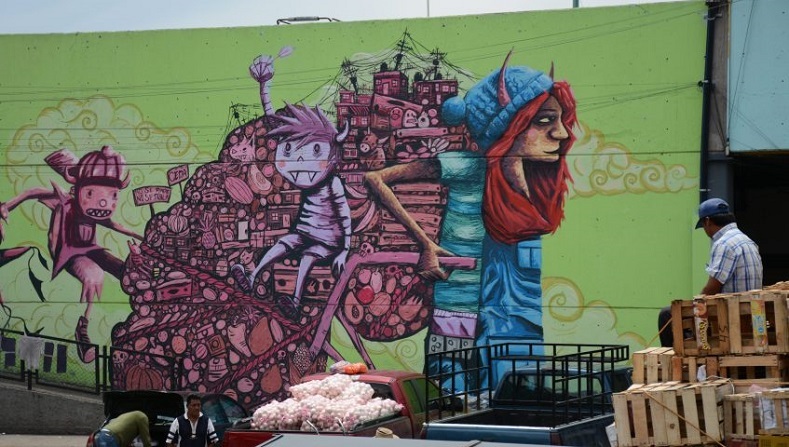 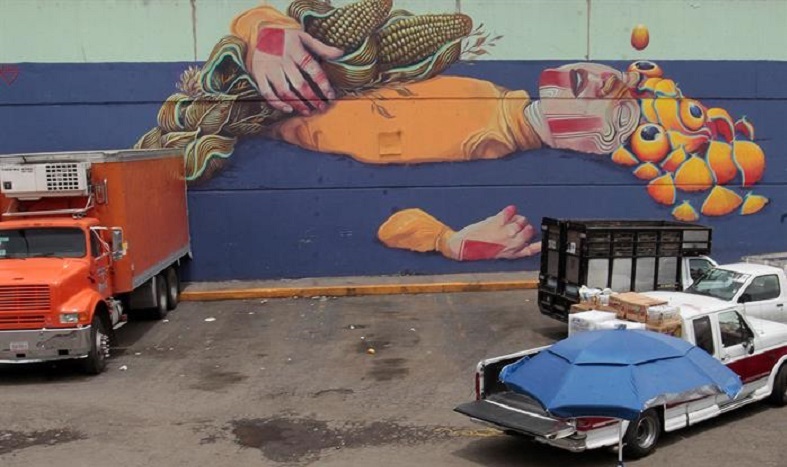 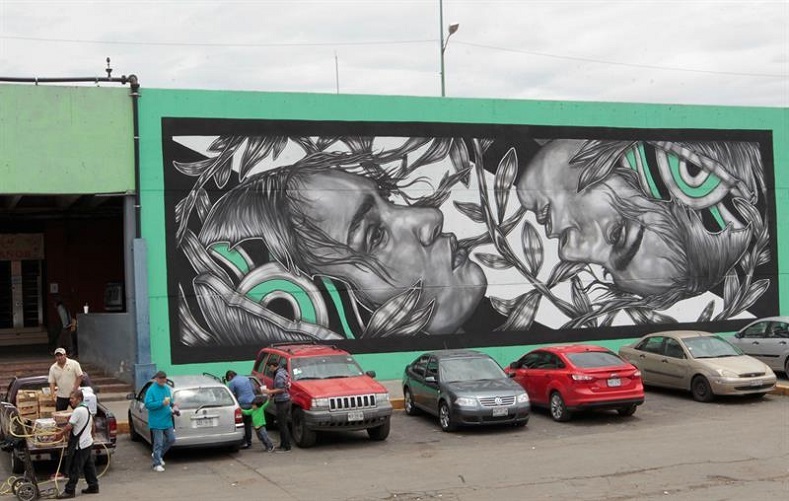 With the help of the United Nations, the state of Mexico is endeavoring to make it the world’s biggest urban art exhibition by covering the walls with murals by dozens of artists. 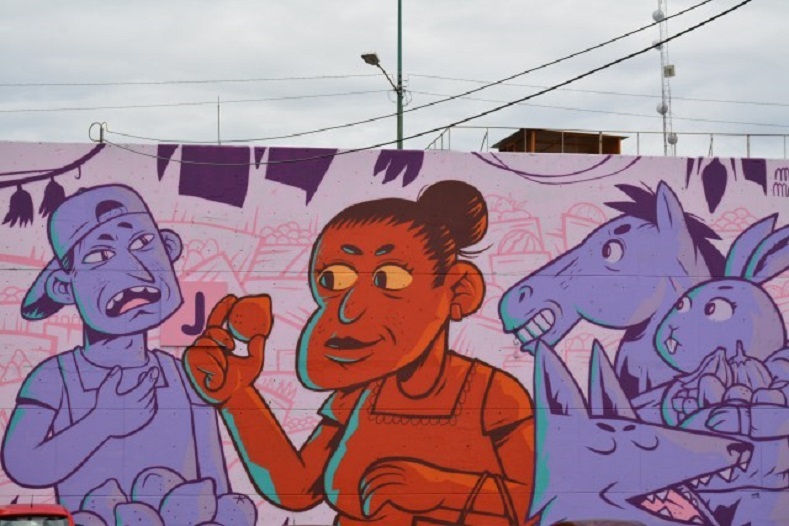 Administrators have reported a decrease in vandalism and graffiti near the murals. 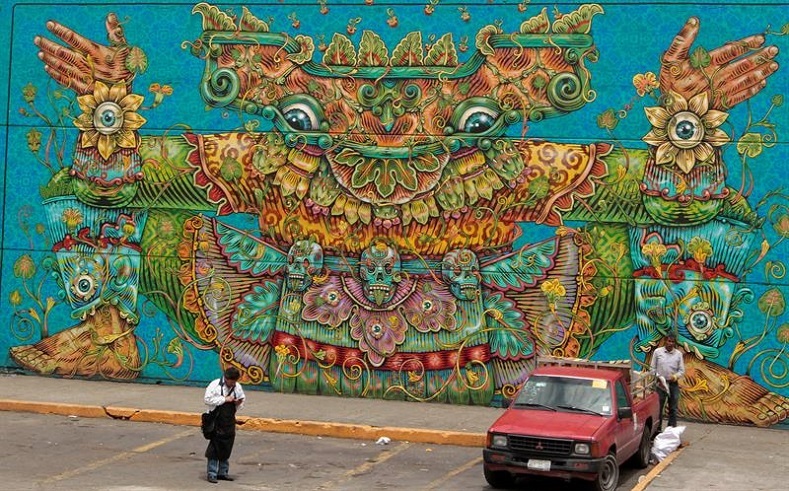 This entry was posted on November 18, 2018 by Vox Populi in Art and Cinema, Social Justice and tagged Central de Abasto, Central de Muros, farmer's market, In Mexico City Artists Cover World's Largest Market In Murals, Mexican artists, Mexican Handcraft Masters/Copper, Mexican Handcraft Masters/Glazed Pottery, Mexican Handcraft Masters/Stonemasonry, Mexican murals, On a Bus in Mexico City, pre-Columbian art.